Американский Avant-Garde/Jazz Лэйбл (San Leandro-California). Цена дисков вполне умеренная (ориентировочно 17у.е. в Москве). Диски характеризует отличное качество звучания и оригинальный фирменный дизайн. BRD 006 ANYTHING GOES ORCHESTRA Bought Fruit / Got Meat Dave Tohir on backbone (feedback trombone), Scott Vance (bass clarinet/Rastabass) and Virginia Anderson (Eb clarinet). 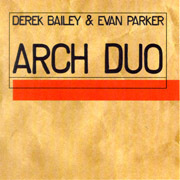 BRD 045 Bailey,Derek / Parker,Evan Arch Dou 05/11/99 Derek Bailey, electric and acoustic guitars; Evan Parker, soprano and tenor saxophones. 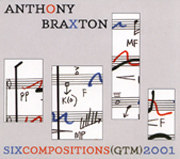 BRD 050 Braxton,Anthony Six Compositions (GTM) 2001 (4CD Box) 06/25/02 Tentet (Discs 1 and 2): Anthony Braxton, sopranino, soprano, F alto, Eb alto, baritone, bass and contrabass saxophones, Eb soprano, Bb and contrabass clarinets; Jesse Gilbert, alto saxophone, soprano recorder, marimba; Dan Plonsey, C melody saxophone, oboe, clarinet, Turkish G clarinet, soprano recorder, marimba, vibraphone; Scott Rosenberg, sopranino, tenor and baritone saxophones, contrabass clarinet, flute, voice; Justin Yang, alto and tenor saxophones, bass clarinet, flute, violin, viola; Greg Kelley, trumpet, voice; Taylor Ho Brynum, trumpet, pocket trumpet, flugelhorn, trumpbone, shell, tenor recorder, marimba; John Shiurba, guitar, voice; Matthew Sperry, contrabass; Gino Robair, drums, marimba, vibraphone, percussion, piano, synth/electronics. Quintet (Disc 3): Anthony Braxton, sopranino, soprano, F alto, Eb alto, baritone saxophones, Eb soprano, Bb and contrabass clarinets; Scott Rosenberg, sopranino, tenor and baritone saxophones, contrabass clarinet, flute; John Shiurba, guitar; Matthew Sperry, contrabass; Gino Robair, drums, marimba, vibraphone, percussion, bowed metals, piano, synth/electronics. Trio (Disc 4, track 1): Anthony Braxton, sopranino, soprano, F alto, Eb alto, bass and contrabass saxophones; John Shiurba, guitar; Gino Robair, drums, marimba, vibraphone, percussion, bowed metals. Quartet (Disc 4, track 2): Anthony Braxton, sopranino, soprano, F alto and Eb alto saxophones; Jesse Gilbert, alto and baritone saxophones; Dan Plonsey, C melody and baritone saxophones; Justin Yang, alto and tenor saxophones. Duo (Disc 4, track 3): Anthony Braxton, sopranino saxophone; John Shiurba, guitar. BRD 015 Brotzmann,Peter Sacred Scrape: Live 92 04/16/95 Peter Brötzmann, tenor saxophone, tarogato, bass clarinet, Eb clarinet; William Parker, double bass; Gregg Bendian, drums and percussion. BRD 026 Butcher,John London & Cologne: Saxophone Solos 08/17/98 John Butcher, soprano and tenor saxophones. BRD 051 Butcher,John & Robair,Gino New Oakland Burr 09/28/04 John Butcher, tenor and soprano saxophone; Gino Robair, percussion, styrofoam, faux dax, ebow snare, motors. 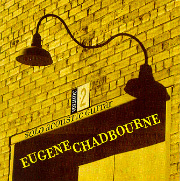 BRD 032 Chadbourne,Eugene Volume 2: Solo Acoustic Guitar 08/17/98 Eugene Chadbourne, cheap, battered Harmony guitars from pawnshops. 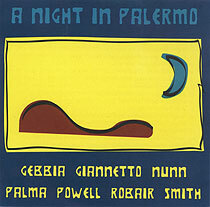 BRD 041 Gebbia / Giannetto / Nunn / Palma / Powell Night in Palermo 02/18/03 Gianni Gebbia, alto saxophone; Lelio Giannetto, double bass; Tom Nunn, the bug; Miriam Palma, voice; Garth Powell, percussion, saw, waterphone; Gino Robair, styrofoam, cymbal, bike horn, toy reed; Damon Smith, bass. BRD 037 Gebbia,Gianni H Portraits 08/17/98 Gianni Gebbia, alto saxophone, soprano saxophone. BRD 047 Gebbia,Gianni Arcana Major / Sonic Tarots Session 06/25/02 Gianni Gebbia, alto saxophone, Eb sopranino saxophone. 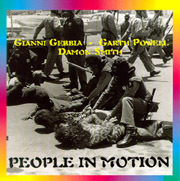 BRD 044 Gebbia,Gianni / Powell,Garth / Smith,Damon People in Motion 05/11/99 Gianni Gebbia, alto saxophone, megaphone, mallard call; Garth Powell, percussion, whirlophones, berimbau; Damon Smith, bass. BRD 049 Kowald,Peter / Masaoka / Robair Illuminations 10/28/03 Peter Kowald, bass, voice; Miya Masaoka, 17- and 21-string kotos; Gino Robair, percussion, ebow, faux dax. 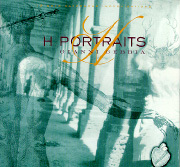 BRD 030 Masaoka,Miya / Nunn,Tom / Robair,Gino Crepuscular Music 08/17/98 Miya Masaoka, 21-string koto, cymbals, preparations; Tom Nunn, bug & baboon; Gino Robair, percussion, motorised implements, toy horns, calls, dustpan, calabash. 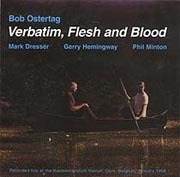 BRD 029 Ostertag,Bob Verbatim 08/17/98 Bob Ostertag, sampling; Mark Dresser, bass; Gerry Hemingway, percussion; Phil Minton, voice. BRD 035 Ostertag,Bob Verbatim, flesh and blood Bob Ostertag, sampling; Mark Dresser, bass; Gerry Hemingway, percussion; Phil Minton, voice. BRD 019 Parker, Evan/Guy, Barry/Lytton, Paul Breaths and Heartbeats Evan Parker, soprano and tenor saxophones, percussion; Barry Guy, double bass and chamber bass, percussion; Paul Lytton, drums, cymbals and percussion. BRD 016 Reichel,Hans Lower Lurum 10/25/95 Hans Reichel, guitar, daxophone. BRD 052 Six Fuchs Six Fuchs Wolfgang Fuchs, bass clarinet, sopranino saxophone; Tom Djll, trumpet, pocket cornet, balloon, hog caller; Tim Perkis, electronics; Gino Robair, energized surfaces; John Shiurba, guitar; Matthew Sperry, bass, preparations. BRD 025 Thomas,Oluyemi / Robair,Gino Unity in Multiplicity 08/17/98 Oluyemi Thomas, flute, bass clarinet, C-melody saxophone, soprano saxophone, percussion, gong; Gino Robair, percussion, whirled instruments, motorised implements, toy horns, calabash. BRD 008 V/A Yearbook 1 08/17/98 Henry Kaiser, Splatter Trio, and Randy McKean. BRD 009 V/A Yearbook 2 10/10/95 1.Chris Jonas, soprano saxophone; Daniel Sarid, piano: High river (00.23); recorded on 9 November 1991 in Parsons Cinema at The New School for Social Research. 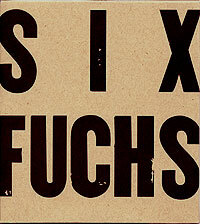 2.John Zorn Ensemble [JZ, conductor; Myles Boisen, guitar; Gannon Hall, drums; Bob Ostertag, sampler; David Slusser, electronics; Trey Spruance, guitar; William Winnant, percussion]: Xu feng (05.50); Recorded live in concert on 9 September 1991 at the Great American Music Hall, San Francisco. 3.Ben Goldberg, halfinet: Improvisation on halfinet (04.56); recorded on 14 September 1990 at the Old First Church, San Francisco. 4.The Molecules [Ron Anderson, guitar, cornet; Chris Millner, bass, voice; Thomas Scandura, drums; Luke Civil, percussion]: Radio's broken (04.48); recorded on 25 November 1991 at The Paradise, San Francisco. 5.Steve Adams, alto saxophone: How science theories are verified (05.01); recorded on 30 September 1991 at the Bates Motel Solo Performance Series, San Francisco. 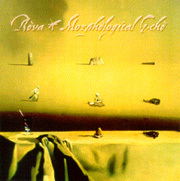 6.Morphic Resonance [Roger Dannenberg, trumpet trumpet-controlled midi; Chris Koenigsberg, Thunder, recorder; Ben Opie, alto saxophone; Dean Rubine, monster feedback; Peter Velikonja, oboe, recorder]: Gateway (05.50); recorded 15 March 1991 at WRCT Studios, Pittsburgh. 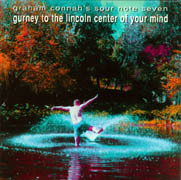 7.Miguel Frasconi, piano, paper, voice: 4 corners, part 3 (03.54); recorded June 1991 at the New Performance Gallery, San Francisco. 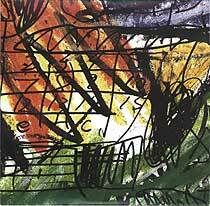 8.Pierre Dørge, guitar: Mumbul (variation VII) (02.55); recorded 11 June 1990 at Copenhagen Sound Studio, Copenhagen. 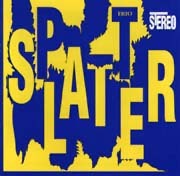 9.Robert Marsanyi, voice, computer; Carter Scholz, voice: AP:27 bits (07.36); recorded in October 1991 at The Marsh, San Francisco. 10.Mike Hovanscek, electric zither, delay; Hal Rammel, sound pallette, delay; Rick Williamson, vocals, vocoder: Railyard meditation (07.26). 11.Krystyna Bobrowski: Weave, unravel (for Baci) (05.52); recorded 27 October 1991 at Mills College. 12.Keith Rowe, guitar, tape, processing: Untitled (06.49); background sounds from the motorbike race 'Amorce 50' in the streets of Montbert, France. No other recording information; presumed 1991. 14.Anything Goes Örchestra: Recent music (04.55); recorded 20 September 1991 in Watchorn Hall, University of Redlands, CA. BRD 010 V/A Yearbook 3 08/17/98 1.Pluto [Ralph Carney, tenor saxophone, clarinet, trumpet, percussion, shenai; Steve Clarke, trumpet, guitar; Len Paterson, guitar, zither, tapes; Ellen Schoenwetter, bass; David Slusser, soprano and baritone saxophone, piccolo, mizwij, electronics; Marc Weinstein, drums; Myles Boisen, guitar]: The Pledge (04.08); recorded live in concert 17 August 1990 during the Accidental Dialects Concert at Koncepts Cultural Gallery, Oakland, CA. 2.Amy Denio, voice: Traffic island psycho (02.41); Recorded live in Spoot Studios in spring 1991. 3.Davey Williams, electric Steinberger guitar; LaDonna Smith, viola: Secrets and mirrors; recorded Alabama, October 1991. 4.Marty Walker, bass clarinet: For L.K. (03.28); recorded at Unlimited Groove, Los Angeles in fall 1991. 5.Crawling with tarts [Suzanne Dycus and Michael Gendreau, motors, shortwave, etc]: Motors V.3E (04.18); recorded at CCM, Oakland. 6.IDLH [David Caldwell, saxophones; Andy Rehfeldt, drums; Dave Tohir, backbone; Scott Vance, rastabass]: LC50 (04.22); recorded 1 January 1990 at SRO Studios, Fontana, CA. 7.Ed Hermann, Serge analog modular system; Andrew Voigt, alto saxophone: Shift in flight (04.54); recorded November 1991. 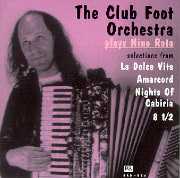 8.Tom Nunn, bugbelly T-Rodimba: T-Rodanza (06.47); recorded 13 February 1990. 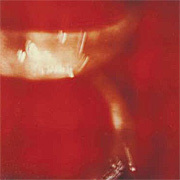 9.Tamio Shiraishi, saxophone, piano, tape: Untitled (01.54); recorded 26 October 1990 at Good Man in Ogi Kubu, Tokyo. 10.Tokyo '77 [George Budd, turntables, synthesizers, percussion; Rick Cox, prepared electric guitar, alto sax; Thomas Newman, violin; Chas Smith, pedal steel guitar]: Reishi (06.22). 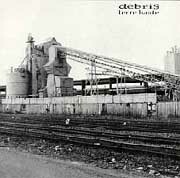 11,Debris [Arthor, guitar; Matt Turner, cello; Keith Hedger, cornet; Steve Norton, baritone saxophone; Curt Newton, percussion; Andrew D'Angelo, alto saxophone]: Big chocolate cake (03.11); recorded at Pete's Basement Studio, Westwood, MA on 27 October 1991.